Macular disease is any disease or degeneration of cells in the macula - the center of the retina which is responsible for our straight ahead and sharp, detailed vision. Macular degeneration is a broad term for many different conditions of the macula. Sometimes the tern maculopathy can be used for any disease of the macula. However the most common condition is age related macular degeneration. The macula is responsible for our straight ahead or central vision, such as seeing the face of a person or reading a book. Macular eye disease results in a gradual loss of sharp, detailed and central vision. Usually the side or peripheral vision is not affected. From this macular degeneration picture you can see the macula is a tiny spot in the center of the retina. It is made up mostly of cone cells . They are photoreceptor cells that help transmit images to our brain. Macular degeneration is a silent and painless loss of central vision due to the degeneration or dying of cells in the retina, called the macula. 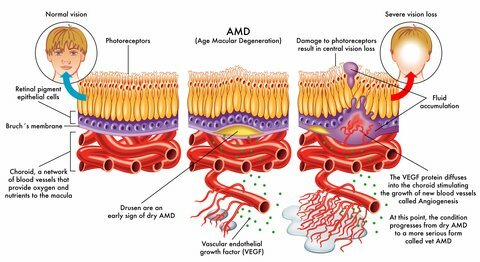 Macular degeneration or ARMD (age-related macular degeneration), is the leading cause of vision loss in Americans aged 65 and older. Juvenile macular degeneration is a genetic form of macular degeneration that develops in childhood, teenage or young adult years. It is usually inherited and causes progressive loss of vision that distorts or blurs what we see straight ahead. This hereditary eye disease forms in both eyes with similar changes in both eyes as well. 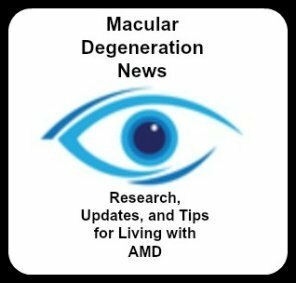 Macular degenerative disease develops in older people and is called age-related macular degeneration (AMD) while forms of JMD develop in childhood or teen years. However, many of these inherited retinal diseases have some of the same characteristics as age related macular degeneration. 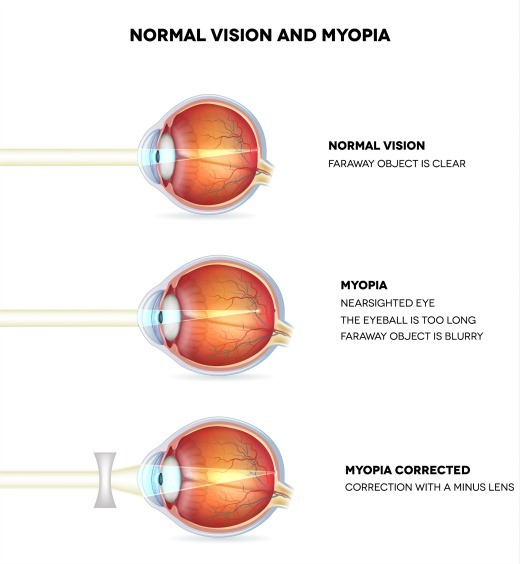 Did you know that myopia (nearsightedness) puts a person at risk for developing macular degeneration? The longer shaped eyeball can result in the thinning of the retina. Many adults are surprised by a diagnosis of macular degeneration in their 30's and 40's assuming that this macular disease occurs mostly in the elderly population. Just like everyone should be aware of the symptoms of a stroke or heart attack, awareness of the symptoms of a detached retina can save your sight or the sight of someone else. Unlike my uncle who experienced one of these symptoms and because of the delay in seeing his ophthalmologist he lost his vision in his right eye. 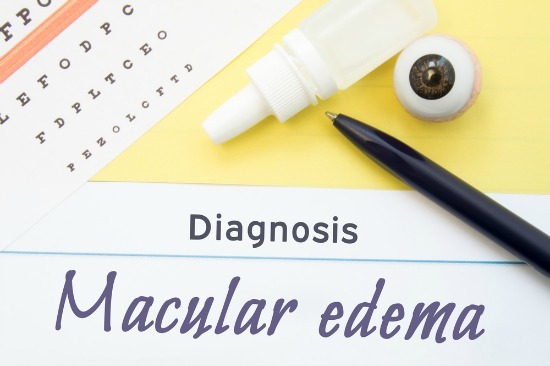 Macular edema is a macular condition that results from the swelling or collection of fluid underneath the macula, the center of the retina. 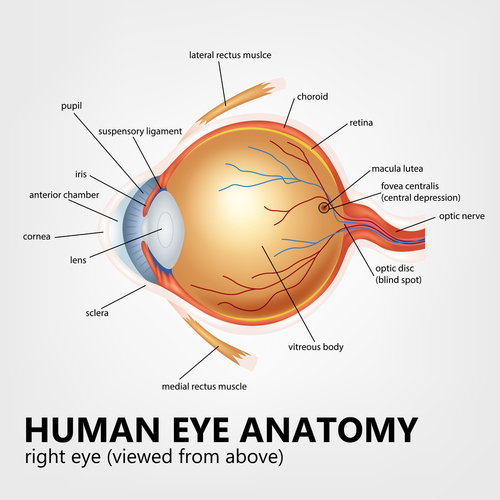 This tiny portion of the retina is responsible for our central, straight ahead and detailed vision. The fluid comes from leaking retinal blood vessels. A macular pucker is scar tissue that has formed on the macula, which is the center of the retina in the back of the eye. A macular hole is a small break in the macula. The macula is a tiny area in the back of the eye in the center of the retina. It is made up mostly of cone cells. These photoreceptor cells provide us with the sharp, central vision we need for reading, driving, and seeing fine detail. These tears are usually related to aging and occur in people over age 60. Reading and performing other routine tasks with the affected eye become difficult. Most of the eye's interior is filled with vitreous, a gel-like substance that fills about 80 percent of the eye and helps it maintain a round shape. The vitreous contains millions of fine fibers that are attached to the surface of the retina. As we age, the vitreous slowly shrinks and pulls away from the retinal surface. Natural fluids fill the area where the vitreous has contracted. This is normal. In most cases, there are no adverse effects. Some patients may experience a small increase in floaters , which are little "cobwebs" or specks that seem to float about in your field of vision. However, if the vitreous is firmly attached to the retina when it pulls away, it can tear the retina and create a hole. 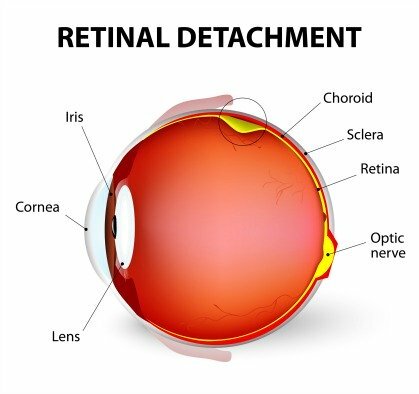 Also, once the vitreous has pulled away from the surface of the retina, some of the fibers can remain on the retinal surface and can contract. This increased tension on the retina can lead to a macular hole. In either case, the fluid that has replaced the shrunken vitreous can then seep through that hole which then alters the surface of the macula and causes the distortion in vision. * Foveal detachments (Stage I). Without treatment, about half of Stage I macular holes will progress. * Partial-thickness holes (Stage II). Without treatment, about 70 percent of Stage II macular holes will progress. * Full-thickness holes (Stage III). The size of the hole and its location on the retina determine how much it will affect a person's vision. When a Stage III hole develops, most central and detailed vision can be lost. If left untreated, a macula hole can lead to a detached retina, a sight-threatening condition that should receive immediate medical attention. Sometimes a macula hole can seal itself and requires no treatment. However, surgery is necessary in many cases to help improve vision. In this surgical procedure-- called a vitrectomy -the vitreous gel is removed to prevent it from pulling on the retina and replaced with a bubble containing a mixture of air and gas. The bubble acts as an internal, shor term bandage that holds the edge of the hole in place as it heals. Surgery is performed under local anesthesia and often on an out-patient basis. Diabetic retinopathy has many of the same symptoms of macular degeneration. It is a retinal condition that frequently develops in the eyes of those who have diabetes. Diabetes affects the vascular and circulatory system - of not just the heart, but other parts of the body as well, including the eyes. There are many eye conditions or types of macular disease that cannot be corrected by glasses, surgery or other types of treatment. There is some usable vision but it is limited - this is what low vision means. The key to living with limited vision is to maximize the vision one does have. 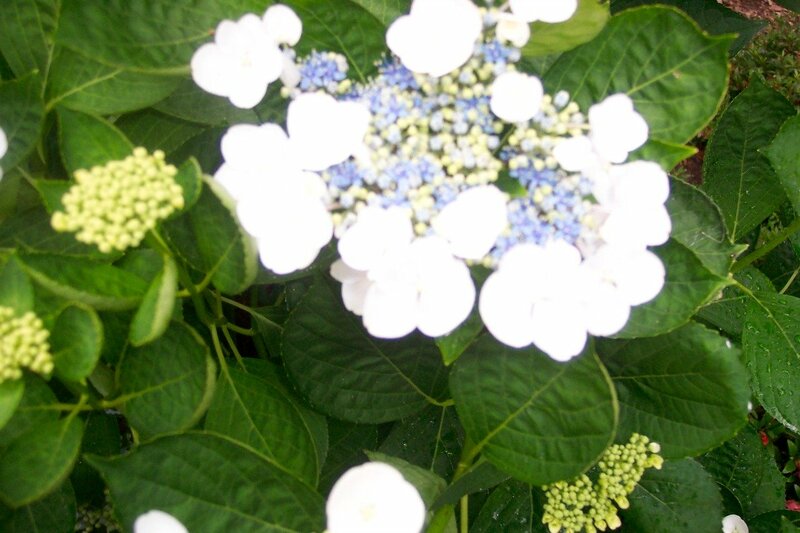 This can be done with different low vision aids and by training that is offered by low vision specialists.